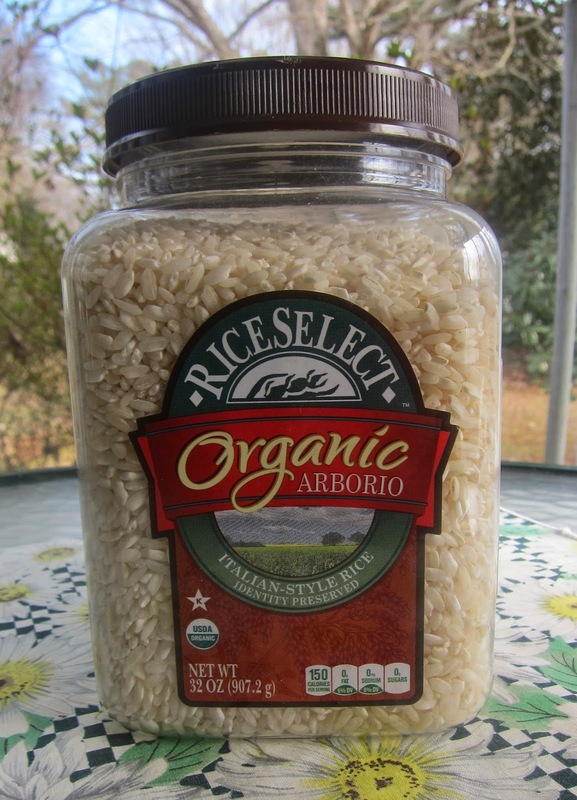 I decided to try out Organic Arborio rice from RiceSelect™ last night. 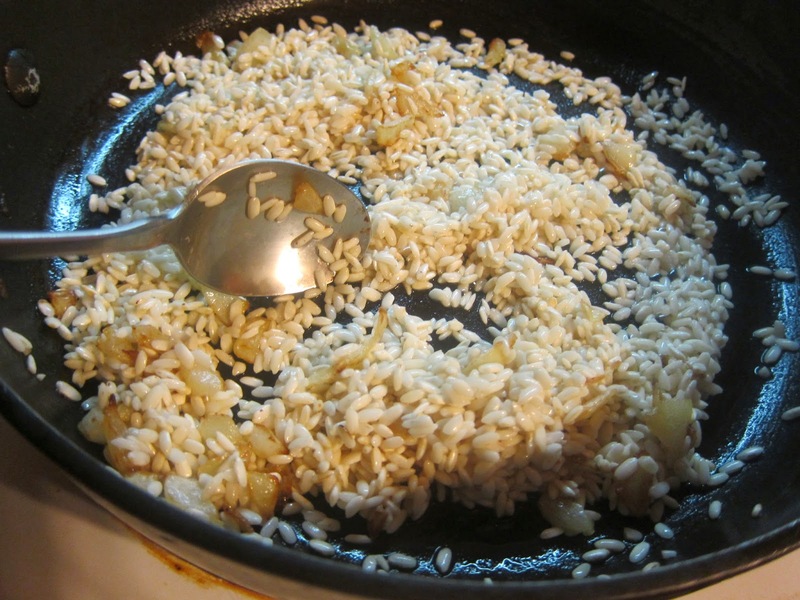 It's an Italian rice, and you may know it as Risotto especially if you watch Hell's Kitchen. My idea was to have rice as a side dish. I generally put rice in a pot, set the timer, and run out and grill up boneless, skinless chicken breasts. The timing works out on this. This was not in the cards, because Risotto needs more attention than regular bagged rice. That's okay though, because I recruited a family griller while I worked the all natural rice. To start off I heated a little olive oil and butter and then cooked down chopped onions and then stirred the rice for a couple of minutes over the heat. Then I had three cups of chicken broth. The directions called for adding it in thirds and cooking until the broth had soaked in. No time was listed, but this took around 25 minutes with frequent stirring to prevent sticking. I finished up the rice but left a tad of extra water to absorb while the chicken finished off. So . . . what was the verdict? Yum. 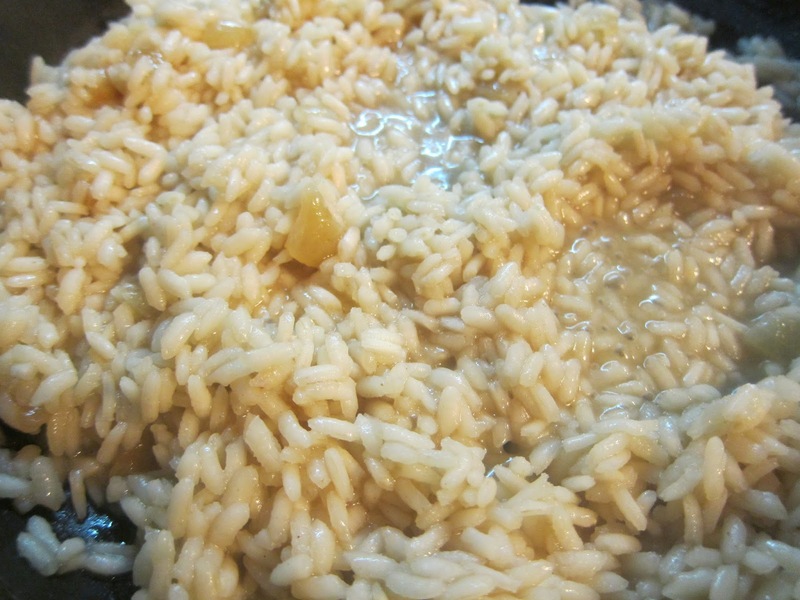 The Arborio Italian rice made risotto style was very creamy and full of flavor. The butter, onions, and broth really showcased well in the basic recipe on the container. If you have more than one person working on your grilled meal, this is an excellent rice product but probably better handled indoors. It's so yummy that it can be a main dish. In fact, I had the leftovers for lunch. I think Gordon Ramsay would have sent my risotto out to his guests. Then again, this is the first time I've had or made it, so he might have ripped me a new one. It certainly went over well here though. If you have wanted to try your hand at risotto, then the directions were easy to understand and follow. It does take more work to make this style rice, but it was worth it. Very tasty.